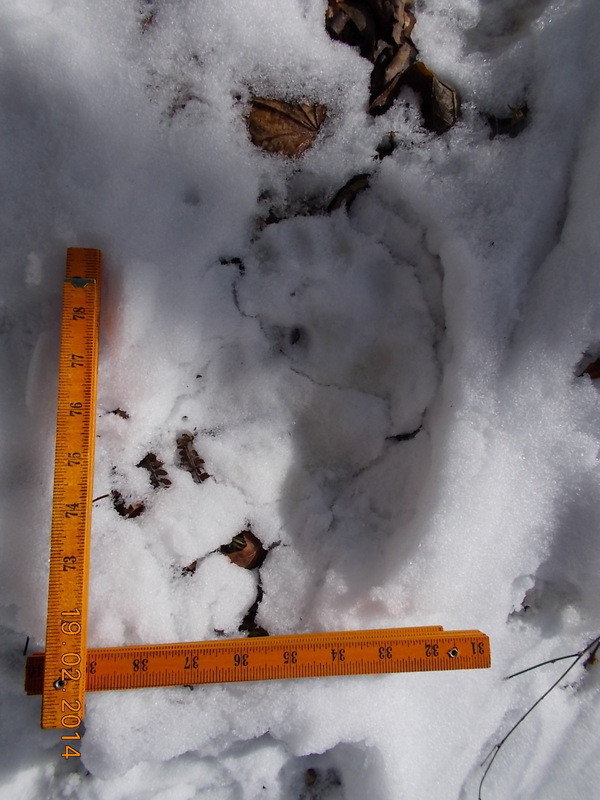 China blog 7: Many giant panda experts told us it would be impossible to get good panda footprints in the wild….either because of deep leaf litter, or deep snow, or uneven terrain….but we were not deterred. Our experience has shown that unless biologists are specifically looking for footprints, they don’t always notice them. 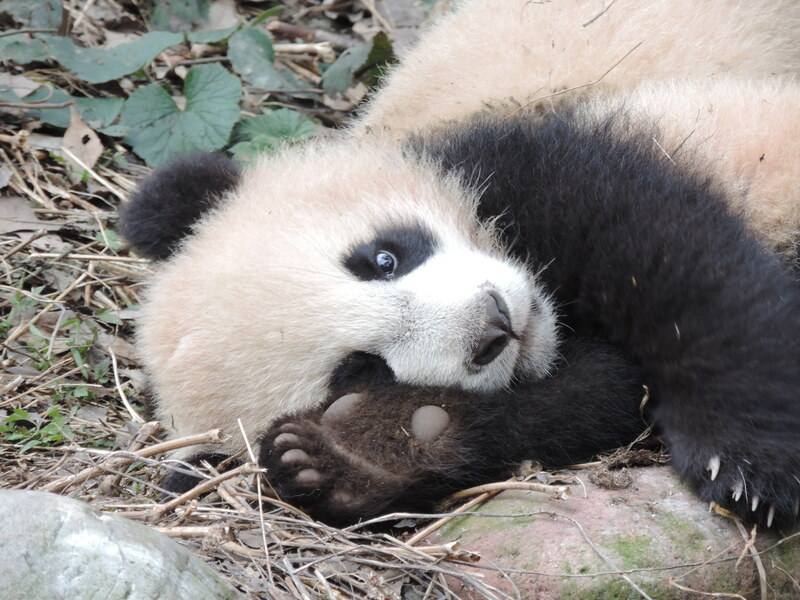 True, there is plenty of leaf litter and uneven terrain, but on our first day at Wolong, we picked up some beautiful prints on a local mountain from two pandas being prepared for release into the wild. This right front footprint from a giant panda shows what an unusual foot structure these animals have. 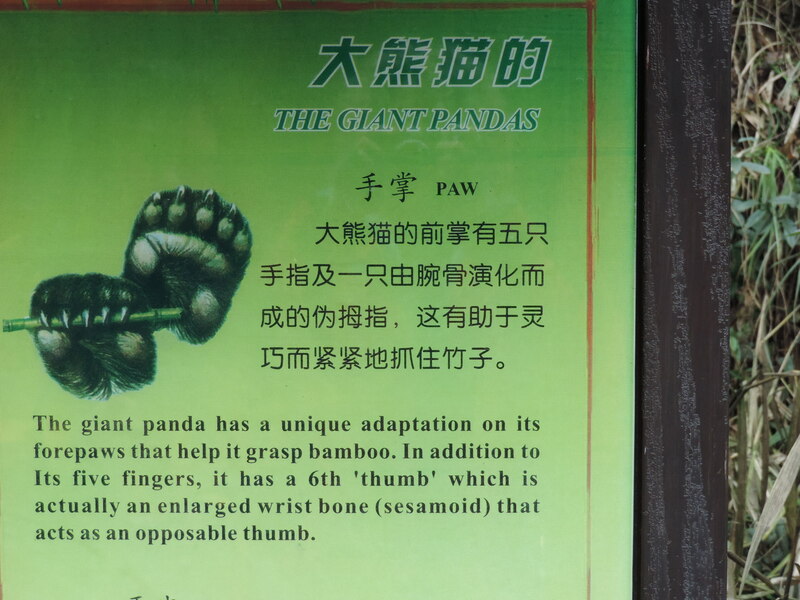 There are five toes, but also a sixth ‘thumb’ (a modified sesamoid wrist bone) that opposes the fingers to allow bamboo manipulation, and there’s also a heel (carpal bone). This gives us lots of detail in a footprint!